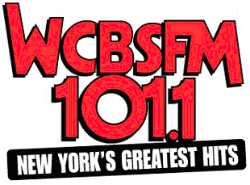 WCBS-FM is now #1 in the NYC radio ratings with 6.8% of age 12+ listeners. Lite-FM with 5.7% came in a distant second. It seems that the strategy of bringing in Scott Shannon in the morning has paid off nicely. Likewise the move away from 60s music turned out to be correct. It also seems that a tight playlist attracts more listeners. Will they be able to sustain this ratings lead since listening habits likely change over the summer. 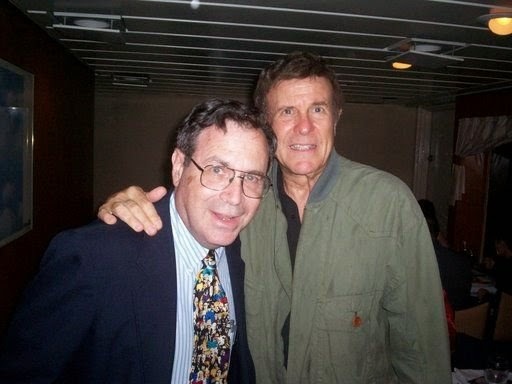 I have been listening to WCBS-FM less as I have moved to internet radio for oldies. Since I am 65 years old WCBS-FM doesn't want me as a listener anyway. 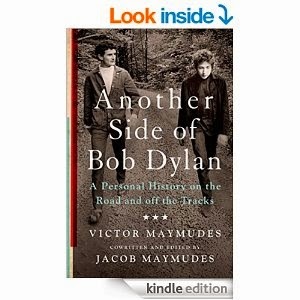 I finally finished the book Another Side of Bob Dylan by Victor Maymudes. Actually his son Jacob kept audio tape recordings that Victor made documenting his relationship with Dylan as his tour manager. Every biography offers new facts. I found out that Dylan played chess. The only significant revelation was that the 30th Anniversary Concert at Madison Square Garden was originally planned as a benefit but turned out to be a for profit event. George Harrison was really annoyed when he found out. This biography was unique since it was written by a Dylan insider rather than a journalist. God really must have been a Yankee fan yesterday. The original weather forecast was for rain all evening. Everyone was afraid that Jeter's last game at Yankee Stadium would be rained out. The rain ended in Queens in the early afternoon. Who thought that DAvid Robertson would blow a save by allowing 3 runs in the top of the 9th setting up the stage for Jeter's walk off single. It is a shame that reconnections are just too brief. JB just recalled our singing of Mr. Bassman. He followed up wit a photo of his four dogs. I wish he would have told be briefly at least what has happened to him over the last 40 years. I appreciate all who read Bruce's Journal, and follow me on Facebook or Twitter. I wish everyone a happy and healthy new year. 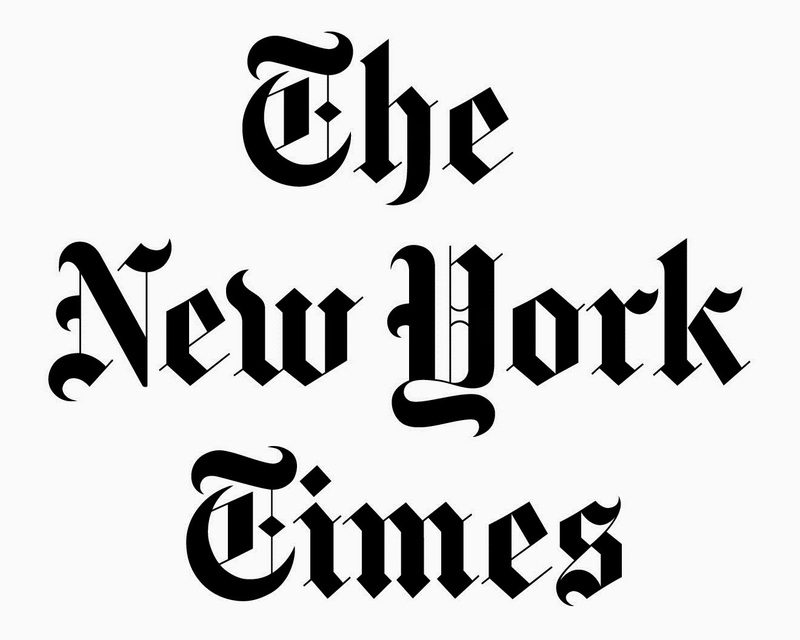 I guess it has been some time since I commented on an article in the New York Times which I only buy on Sundays. I usually read several sections on the day that I get it but it has become a "ritual" for me to read the magazine section on the ride to work on Monday. The was an article titled How Gary Hart's Downfall Forever Changed American Politics. I didn't see the point on why the writer had to detail Senator Hart's indiscretion of 27 years ago. He likely would have become the Democratic nominee in 1988, but his sexual adventure killed his candidacy. Several years Bill Clinton acted like a jerk in his relationships with Paula Jones and Monica Lewinsky, but I don't see how the situations with Clinton and Hart are linked. The article did point out that FDR, JFK, and LBJ fooled around, but nobody knew about it until many years later. I guess back in those days it was easier to keep those things secret. A couple the years ago Micky Dolenz issued a CD called Remember. There was an interesting cover of the Beatles "Good Morning Good Morning". Give it a listen. I thank Larry Ware for posting this video on the Fans of Harry Harrison page on Facebook. There are 445 people in this group but there are thousands out there who fondly remember listen to Harry on WMCA, WABC, and WCBS-FM. Morning radio is just not the same. Best wishes to Harry. 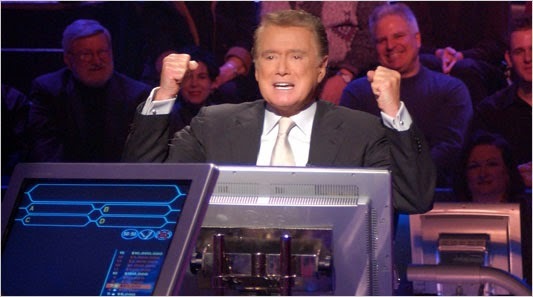 In a very unscientific poll Regis Philbin was unanimously voted as the most popular host of Who Wants to Be a Millionaire. Only 3 people voted. I know through experience that very few people want to be bothered by surveys. What the heck. There was a lot said in the last week about the release of the iPhone 6. I read that there were 4 million of them pre-ordered. But is there such a big difference between the 5 and 6? I guess everyone has to get the most current model. 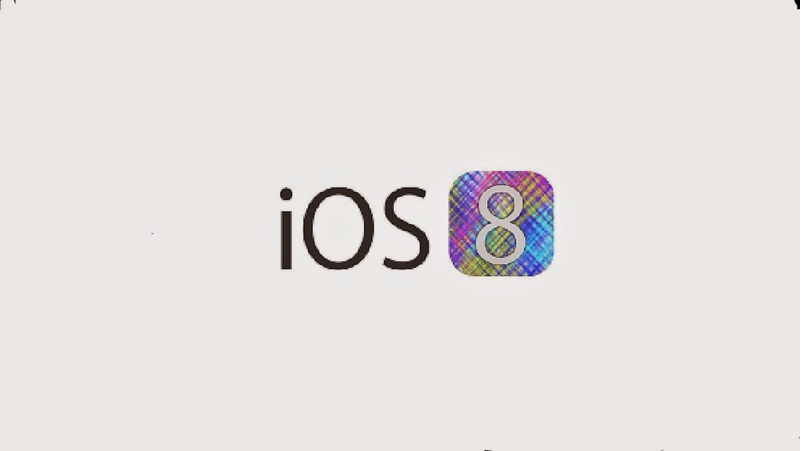 With the release of the new phone Apple released today the operating system IOS 8. I eventually wanted to upgrade from IOS 7, but there was a message on my phone stating that I would need 4.7 GB of disk space. Since I only have 3.8 GB left, I just can;t get the IOS 8. Oh well. It is not the end of the world. 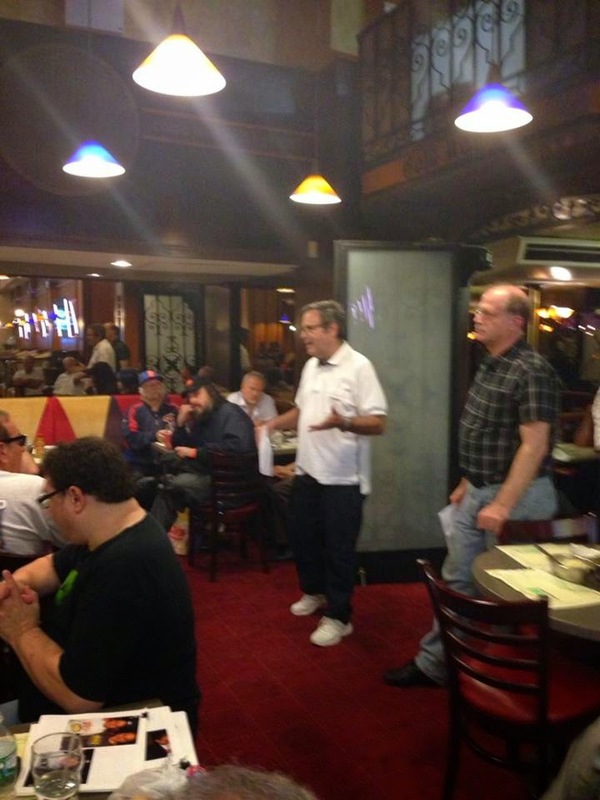 Today I found out Sam Grimaldi, the father of my good friend Anthony passed away. I don't know his exact age, but I think he was about 96 years old. God blessed with with a long life. I have known Anthony since 1996 when he joined the NJIT Library. 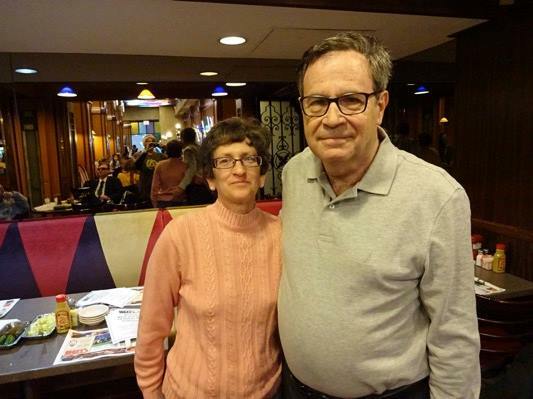 After 6 years he moved onto the Elmont Public Library from where he retired. Anthony was a very good son as he stayed with his father for 16 hours a day during his last days. 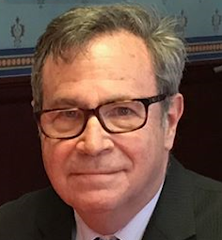 My sincere condolences to the Grimaldi family. Alex said that since he had nothing to do for 6 weeks, he grew back his mustache. 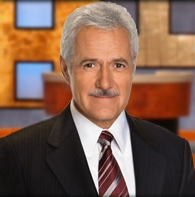 There are so many important things in the world, but I have chosen to write about a game show host and his mustache. On today's show, the first of the season, he invited viewers to say on Facebook or Twitter to vote whether they like it or not. I say he should shave it off. WCBS-FM is pI have never hear She Blinded Me With Science by Thomas Dolby there. It peaked at #5 on the Billboard chart in 1984. I thank Gary Brefini for playing it on Radio XL5 last night. Who is Your Favorite Host of Who Wants to Be a Millionaire? 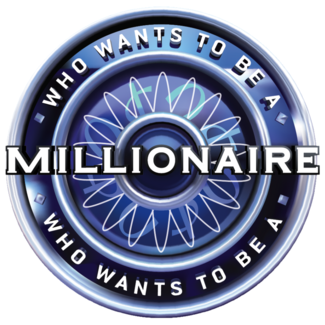 So far there have been 4 hosts of Who Wants To Be a Millionaire? Who is your favorite? What is your final answer? Click here to answer the poll. 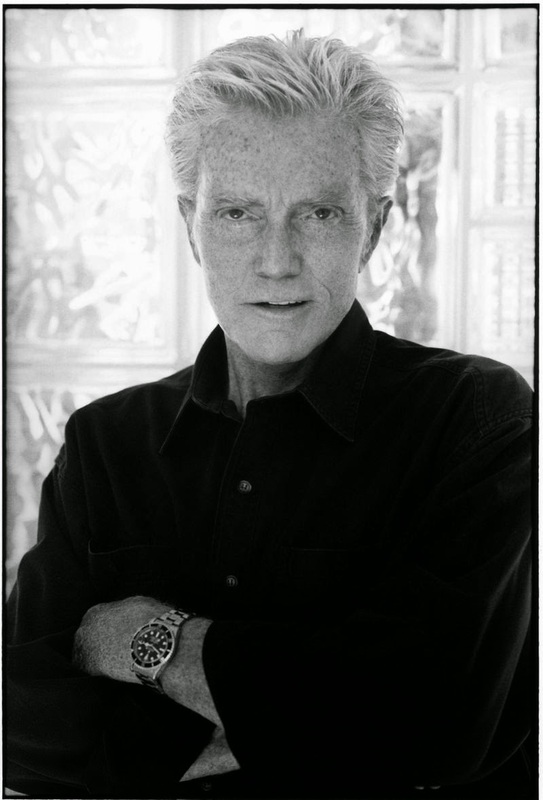 This week we heard the news that songwriter and producer Bob Crewe passed away. He did much of his work for the 4 Seasons all those years ago. Here is a list compiled by Bob Radil of many of the songs that he wrote. Whenever I walk through Penn Station and see the National Guard, I am always reminded of the tragic events of September 11, 2001. Nobody likes going through the extraordinary security at airports, but sadly it is necessary. We must never forget the people whom we lost on that terrible day. Please listen to Get Together by the Youngbloods. Dennis Mitchell on his syndicated radio show Breakfast with the Beatles often interviews authors of Beatle books. 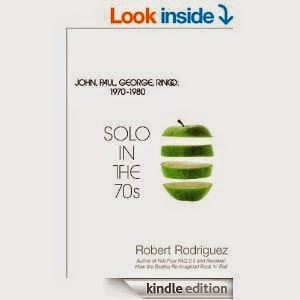 Some months ago he interviewed Robert Rodriguez, the author of Solo in the 70s: John, Paul, George, Ringo 1970 - 1980. So much have been written about the Beatles in the 60s when they were together, but relatively little is available on their solo careers. The book piqued my interest so I bought it for my Kindle Fire. In my opinion George Harrison gained the most by the breakup of the Fab Four. I am in the middle of it now. 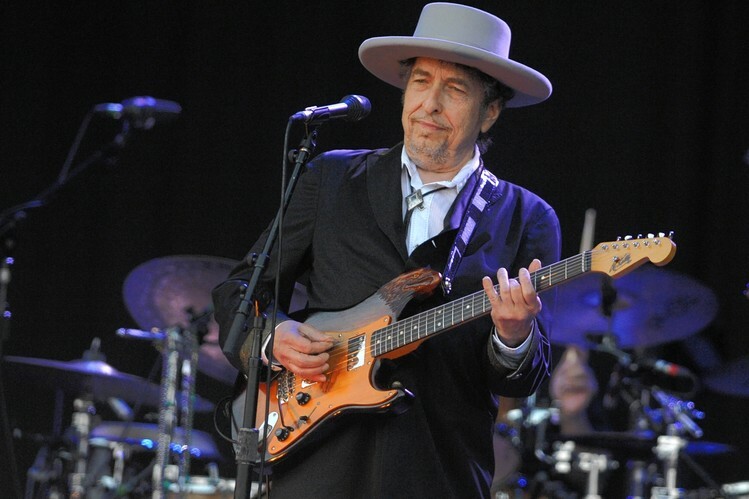 There have been tons of biographies of Bob Dylan written over the years. Dylan is a very private person who rarely does interviews. 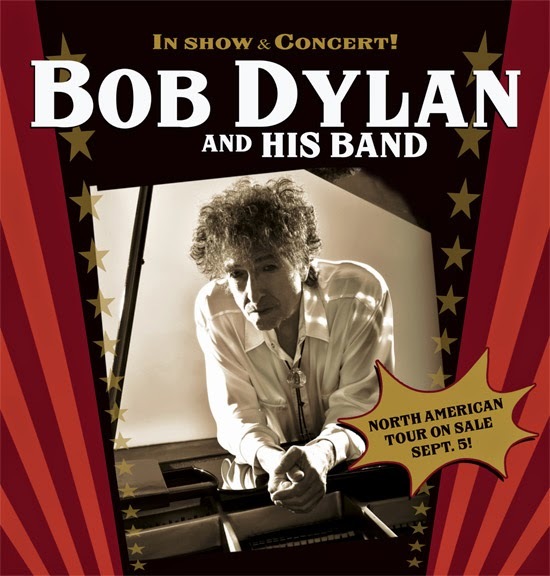 The newest biography which was released today is called Another Side of Bob Dylan. It was written by Victor Maymudes, a confidant of Dylan. Since Victor died years ago his son has written the book. I just downloaded it, but have to find the time to read it. After many years of being shown at 12:30 PM on Channel 7 the show was moved to 2 PM. So many times Millionaire was pre-empted when the 12 noon news was expanded since there was a major event. Secondlym Terry Crews is the new host succeeding Cedric the Entertainer. Did Cedric quit or was his contract not renewed by the producers of the show? I guess we'll never know. In any event my favorite host was Regis Philbin. There is a new lifeline called +1 replacing one of the jumps. The contestant has a friend in the audience that he/she can ask to come over to assist. It replaces the original phone-a-friend. The problem with that lifeline was that the friend at home can have a computer and Google to find the answer within 30 seconds. I thought that Jeopardy would start its season today, but there was a rerun of a kids tournament. I assume new shows will be aired starting next Monday. My Dad, Irving Slutsky, died 17 years ago of pancreatic cancer. He lived for 2 years after he was diagnosed with it. I will be lighting a yahrzeit candle in his memory tonight. I made a donation to the Lustgarden Foundation in his memory. Hopefully, some day there will be a cure for pancreatic cancer. When the Never Ending Tour comes to NYC, I have to be there, of course. The tickets for 4 shows at the Beacon Theater went on sale today at 10 AM. I was online at ticketmaster.com and was able to get 3 tickets for the show on Saturday night November 29. These tickets were very expensive, but I guess Mr. Zimmerman needs the money. Of course, there is a big Ticketmaster fee, but this time there is no way of getting around it. Let's hope he puts on a good show as the 2014 leg of the Never Ending Tour comes to a close in NYC. Since Mom was born in Europe in 1919, the exact date of her birth was never recorded. She knew it was before Rosh Hashana, so we always celebrate it on September 4th. Happy Birthday Mom! WCBS-FM is #1 in the Arbitron ratings for the second month in a row. It seem that Scott Shannon has brought many listeners to the station from WPLJ and possibly other stations. Those people apparently stay with the station later in the day. I listen to WCBS-FM less as I don't like Scott Shannon's style and hear that CBS-FM plays much less 1960s hits. Since I am 65 years old they don't want me anyway. Thank goodness for caller ID. Whenever I see a phone number that I don't recognize, I will not pick up the phone. There have just been too many scams and crank calls lately. Yesterday was the first day off classes at NJIT. It seemed strange to see the campus so crowded after 3 1/2 months of being in the summer mode when so few students, faculty and staff are around. 1. He vetoed the construction of a new commuter railroad tunnel under the Hudson River which is desparately needed. He cites cost overruns, but if a project is planned properly there should not be cost overruns. 2. He signed off on the Jersey First law which requires employees of NJ state agencies to live in the state. Thankfully, I was grandfathered out of this requirement. I think it is very spiteful to residents of New York and Pennsylvania. In my opinion Chris Christie is not presidential material. 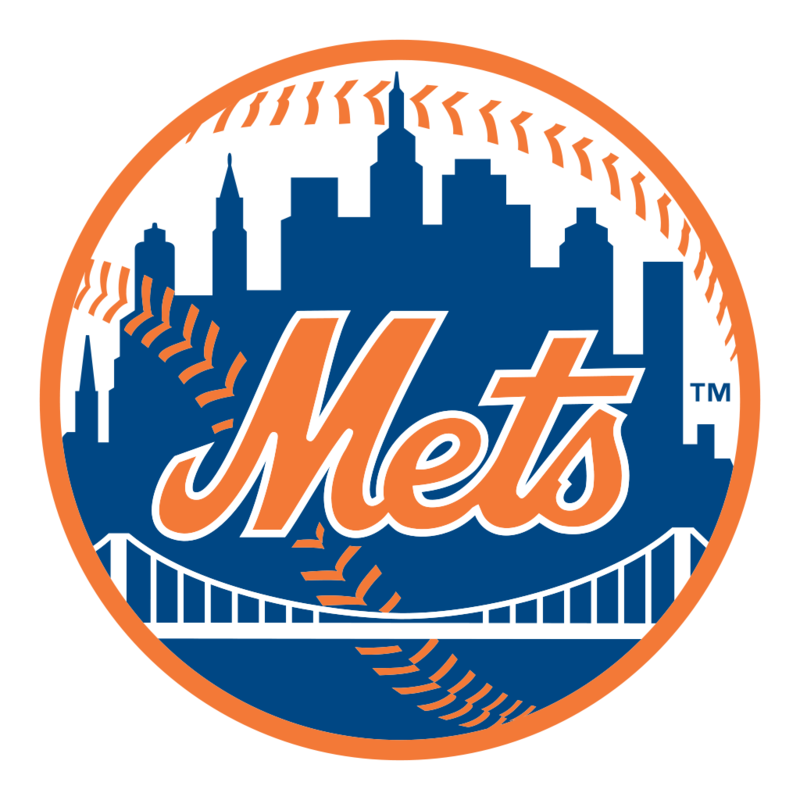 Mets Merized Online reports that the team fired Leigh Castergine,the Senor Vice President of ticket sales. It seems that she was unfairly blamed for the decline in ticket sales. She did bring some innovative ideas to try to bring fans to the stadium such as t-shirt Fridays, concerts, and family Sundays. In 2009 and 2010 the team drew well as people came to see the new stadium, but the team has had a losing record every year since Citifield opened. The record is now 64-73 with 25 games to go so it seems very likely the team will finish below .500 again. Sandy Alderson has made some good and some bad moves. The trade of Marlin Byrd and John Buck for Vic Black and Dilson Herrara seems to have worked out, but Curtis Granderson has been a very big disappointment so far. 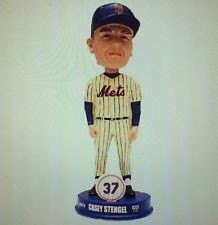 Mets arguable have one of the best pitching staffs in baseball as money of the young pitchers are awesome. They just need some consistent hitters. If the blame is to go anywhere is should to the Wilpons. I really hope they sell the team.